Protect your prized firearm from travel bumps, harmful dust, and the elements with the 34-Inch Fieldline Striker Tactical Rifle Case. 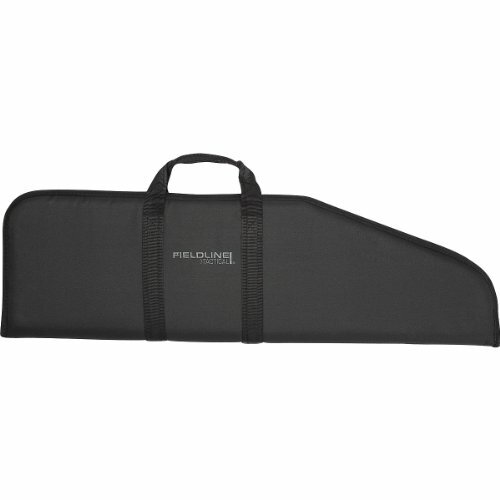 Featuring all-black heavy duty polyester fabric and a padded interior, the gun case also features a full-length zipper to help you easily store and remove your gun from the case, and a heavy duty wrap handle. The inner layer is made from a soft synthetic liner to prevent nicks and dings. It measures 38 x 11 x 2 Inches. In 1973, the Altshule brothers decided to combine their love of the outdoors and their retail knowledge to create well-made but affordable hunting packs and accessories. Today, the Fieldline brand continues to provide innovative gear and serves a growing band of rugged hunting enthusiasts all over the world. If you have any questions about this product by Fieldline Tactical, contact us by completing and submitting the form below. If you are looking for a specif part number, please include it with your message.